Summer on the Bruce Peninsula promises all the sun and fun you can handle, but how can you get off the beaten path and away from the crowds? When the Grotto parking lot is packed and Tobermory is bursting at the seams, check out these 5 pristine places to take a hike and enjoy a refreshing swim. 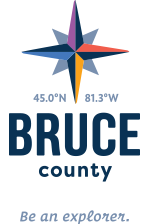 Note: The Bruce Peninsula is bordered by two bodies of water that offer distinctly unique experiences! On the west side of the peninsula lies Lake Huron, where you’ll find sandier beaches and more gradual, sloping entries to warmer waters. The peninsula’s eastern shores are generally rockier, with quick drop-offs into cooler, crystalline blue waters. You’ll find excellent fishing on either side, while kiteboarders typically prefer Lake Huron and scuba divers head to Georgian Bay to explore shipwrecks, ancient coral and fossils, and more. The crowds at Sauble are most dense where Main St. meets the tepid waters of Lake Huron. This is the main beach, and the intersection of two distinctly separate management areas. Head north for the municipally managed section of beach, where parking is $3/hour, $12/day or $100 for a season pass. Consider taking the 2.5 km Sauble Falls Provincial Park Trail #3 loop to explore ancient sand dunes late in the afternoon and heading for your swim in the early evening. Parking in the town of Sauble Beach is free after 5pm most days. Or, go south (left) from the main beach to the 4 km stretch of beach called Sauble Park, which is managed by Saugeen First Nations. The daily admission rate with in & out privileges for this area of the beach is $15 per car from Monday to Thursday, and $20 from Friday to Sunday. A weekly car/truck pass is also available for $75.00. Head all the way down to 22nd St S. to the Sauble Trading Post for a local favourite spot to grab a swim and an ice cream cone. You’ll find standup paddleboard rentals here, as well! Head to Oliphant for a fully accessible hike on a wide boardwalk with bumper boards through a fen rich in wildflowers and other flora. In this low, marshy area, dozens of migratory and nesting bird species congregate and orchids, lady slippers, and even carnivorous plants thrive. This 1.4 km boardwalk winds through the fen and contains interpretive panels throughout, to help you make the most of your outing. Park at the Oliphant Beach & Fishing Islands pier and hit the water. This is an excellent site for kiteboarding, kayaking and standup paddleboarding, as the water here typically ranges from 3-5 feet deep. Contact KiteRider.ca for lessons. Remember, stay on the sandy beach area - this is still a sensitive natural area, where reptiles, amphibians, birds and all manner of plantlife rely on our environmental stewardship for their survival. Make sure you stay for an Oliphant sunset--they’re legendary. Although it’s on the Georgian Bay side of the peninsula, Lion’s Head offers a gorgeous sandy beach the entire family will love. Just minutes from grocery stores and restaurants, this beach also offers charcoal BBQs you’re free to use to prepare your picnic lunch. There are convenient washrooms and changerooms here, as well. You’ll definitely want to head to the beach to cool down after tackling the Bruce Trail nearby. Enjoy incredible views of Isthmus Bay and the massive rock formation for which the town of Lion’s Head was named, as you hike the limestone cliffs high above the coast. This is a more challenging section of the Bruce Trail, where good footwear, water and snacks, and a Bruce Trail guidebook will serve you well. Don’t miss live music on the beach Friday evenings in July and August, and the Farmers Market on Saturdays. Perhaps one of the area’s best-kept secrets, Sandy Beach at Black Creek Provincial Park is a step back in time to the rugged, untouched Lake Huron shoreline of years gone by. This unserviced park offers no real amenities, but there are toilets, changerooms, picnic tables and parking for about 30 cars. You’ll find locals sprawled out in the soft sand watching kiteboarders drift by, or wading into the refreshing, clear water, any day of the summer. Throughout the 707-acre natural environment park lies 9.4 kilometres of hiking trails, most walkable in a good pair of running shoes. On windless days, put in your canoe and take a paddle around Lyal Island, as well. Another excellent example of an environmentally important fen, Singing Sands near the top of the Bruce Peninsula is also a great place to stretch your legs on a hike and wade out for a dip. Hike the scenic Singing Sands trail through the woods and down the rugged shoreline of Dorcas Bay. At approximately 3 km in length over varied topography, it’s a moderate hike that will take you 1.5 to 2 hours to complete. On your return to Singing Sands, strip down to your swimmers and wade right in; the shallow waters here are gorgeous from early on in the summer season. If you prefer the comforts of a more urban beach setting with grocery stores, cafes and restaurants, and shops all at hand, head to Bluewater Park in Wiarton. Here you’ll find a small sand beach and large, lush green park with ample parking, washrooms, a playground, splash pad, and access to hiking trails marked with historic cairns and interpretive signage. Stop by the Wiarton Willie monument and pay homage to Canada’s favourite albino weather prognosticator. This is a great place to spend Canada Day, as the Wiarton District Optimist Club puts on a fun-filled celebration each year. The festivities kick off with a pancake breakfast early in the morning. Throughout the day, enjoy a free kids area, horseshoe and baseball tournaments, vendors, a fish fry and finally, a spectacular fireworks show to cap it all off. Still have energy to burn? Head to the 2 km Spirit Rock Conservation Trail at the north end of town. You’ll visit the ruins of an 18th century mansion and descend a spiral staircase from the top of the Niagara Escarpment to the Georgian Bay shoreline and get a close-up look at the escarpment face on your way down. Head over to our Beaches: Beyond Comparison page.